Bluetext has pioneered the use of 3D design, CGI, VR, and Animation for marketing Commercial & Consumer products. Many consider us a top 3D design firm. Architects, Marketers and Manufacturers are increasingly using 3D Visualization over more expensive and inflexible traditional marketing methods. campaigns to demonstrate market leadership for its products. Adobe is well known for its most popular creative products, including Photoshop and Acrobat. Yet, its complete suite of more than 80 products takes marketing customers from creative to enterprise tools that help manage the workflow and customer experience as well as measuring and mobilizing those campaigns. Bluetext developed a series of experiences that simplify Adobe’s complex suite of products. 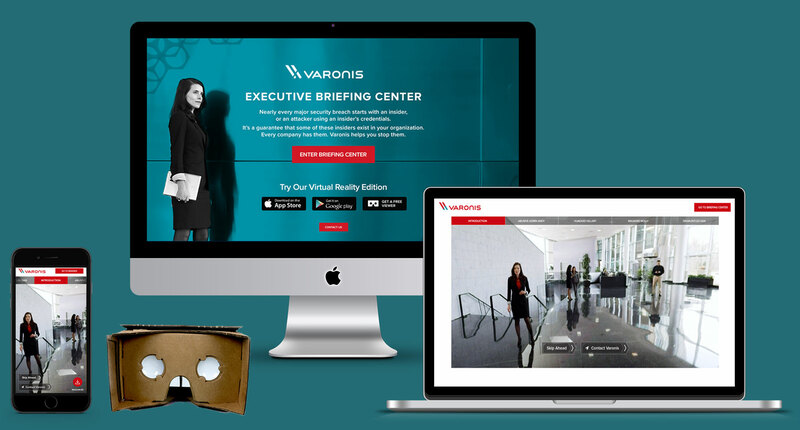 Varonis turned to Bluetext to help position the company with C-level executives who are unaware of the potential risk they are placing on their enterprises by not leveraging solutions to understand who has access to the unstructured and human generated data that their enterprise relies on. Bluetext developed a two-part campaign, first highlighting the exposure of sensitive information, and second educating executives about insider threats. Bluetext Drives The Reboot of FireEye’s Brand Story. Bluetext created a series of industry specific 3D experiences to highlight the specific industry challenge and how FireEye’s award-winning cybersecurity solution is able to address the needs of enterprise customers in that market. When XO Communications decided to refresh its digital platform with a new responsive user experience, it turned to Bluetext to lead the research, strategy, design and development phases of the project. One of the highlights is a 3D “Etherverse” experience placed prominently in the site to drive user engagement and leads. Companies of all shapes and sizes choose Bluetext to define and design and build their applications and products. Let us help you do the same.